How successful is your site right now? That’s an easy enough question to answer if you’ve just started out. In the beginning you might be the only person who visits your site. If you don’t want to stay at this level you need to take steps to promote and optimize your site. Building a successful site means an investment of your time, money or some combination of the two. How do you know if your investments are paying off? You should constantly be keeping track of how well your site is doing by looking at a number of different metrics. While this subject can get very complex to start out we’ll just look at three basic metrics, web traffic, Google ranking and visitor actions. The first thing you want to look at is how many people are visiting your site. After all, it’s hard to say a website is successful if people aren’t visiting it. How many people have visited your site today? This week? This month? If you can’t answer these questions then it’s time to learn how to. If you have a WordPress site and you want to keep track of its traffic you will need to start by installing some sort of plugin. There are many different plugins available on the official WordPress site that will serve this purpose. If you’re running your own site take the time to find one that is popular and well reviewed, but if you use our services your site will come with the tools necessary to keep track of traffic to your site. Once traffic to your site is being tracked you will want to look for any trends you can find. The best thing to look at is how your traffic grows with time, or fails to do so. If you find that your traffic starts rising or falling dramatically after any given day then try to figure out what happened on that day or around it that might have caused the change. Looking at traffic is a great place to start but if you really want to build your site you need to think about where your web traffic is coming from. When people want to find something online they usually start with a search engine, and when it comes to search engines Google is king. If you can get your site near the top Google’s search results page then you will have a lot of power. With all this said tracking your Google ranking is a little more tricky than looking at your traffic. To start off with your ranking depends on what people are searching for. Take some time to think about what words people might type into Google if they were trying to find your site, or whatever your site may offer. If you’ve already got people visiting your site then you can use some analytic plugins to look at what people searched for that lead them to your site. Now you might think that you could just type your keyword into Google and see if your site pops up but Google is a little more complicated than that. Today Google customizes every results page based on the user doing the searching. If you visit your site a lot it is going to get placed higher, which will give you a distorted view. To get around Google’s personalization you can use pages like this one to find where your site ranks for different keywords. In the beginning you probably won’t be in the top 140 sites for any but with time and effort that can change. Check up on your rankings regularly and keep track of where you are so you can see how your site’s ranking changes over time. If you are moving up the ranks then you’re probably doing something right and if you aren’t then you may be doing something wrong. Getting people to visit your site is a prerequisite for success online but in and of itself traffic does not ensure that you will be successful. 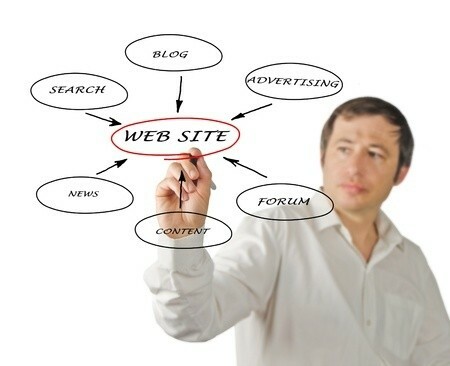 The question you need to ask yourself is why you’re building your website. What do you want people to do when they visit your site? What exactly you are looking for depends on the purpose of your site. If you are opening up an online store then one important metric to track is sales. If you have a blog you might pay attention to how many people are commenting on your posts. If you are using your blog to advertise your brick and mortar business you might keep track of emails that come from your site or just ask visitors how they heard about you. Tracking the actions of your visitors is probably the most difficult thing to look into but it can be the most profitable when done right. Here you have to use your own creativity and resources within your industry to decide what to look for and how to track it. Every action you take should have intended results, and if you just work without looking into whether or not you’re seeing those results then you can end up wasting a lot of time. Albert Einstein defined insanity as “doing the same thing over and over again and expecting different results.” Many website owners take insanity even farther by doing the same things again and again without bothering to see what the results of their efforts are. Only by keeping track of the results of work and adapting based on new information can you escape this trap. While you’re looking closer at your site’s performance it’s important that you don’t lose perspective. Once people learn that they can keep track of how many hits their site gets on a given day or within an hour they tend to obsess over these figures, refreshing the numbers multiple times a day and wondering why they might rise or fall. The truth is that you can’t focus too much on these fluctuations, you need to focus more on the bigger picture. A few days of poor performance shouldn’t worry you if you’re still seeing an average increase in traffic. Building a website that can make you money is a task that takes time. There will be times when you have to keep working and hope that things will improve, but you also need to know when to try different tactics. So keep working on your site but make sure your strategy is working. When action is guided by quality information there’s no telling how far you can go.